(WRGB) - A brutal dog attack last week left a 7-year-old boy in Troy recovering and traumatized. Police say the boy was mauled by a pet next door. Police reports recount the incident Thursday night, saying the dog latched onto the boy's leg and dragged him down the sidewalk before his mom and two witnesses were able to pull the dog off. "Traumatizing," Troy Deputy Police Chief Dan DeWolf said. "Probably the terror that he must've felt while this was going on is just awful." Troy police spoke out about an incident they responded to last Thursday in North Troy. "All of a sudden, the boy is suddenly attacked by a ROTTWEILER," DeWolf said. The police report states the young boy and his mom were getting in their car when a neighbor's dog got out of the yard and onto the sidewalk before the boy could react. "That unpredictability, it's just not good," said DeWolf. The boy suffered serious lacerations to his leg and was transported to Albany Medical Center, his mom says he's still on a long road to full recovery. The case will be heard in court on Thursday - the first of its kind to go to court since a recent change in the city's dangerous dog ordinance. The new law will create a more case-by-case basis for a judge to go off of when it comes to what happens to a dog after an incident like this one. "It was an unprovoked attack on a child, and obviously there's an issue with this animal," DeWolf said. "My dog's a good dog," says Debra Waugh. Waugh says she misses her dog Under, who was seized and taken to the Mohawk Hudson Humane Society, but she fought back tears talking to us about the boy next door, who she says she's heartbroken for. She says they always make sure the fence outside their home is latched, keeping their dogs in. "When we came out it was up like that," she showed us. Waugh says it was a freak accident that has shook them all to the core - and feeling horrible for the little boy . "It was a terrible accident, that's what it was." The dog owners say they're less concerned about getting their dog back and more about their neighbor. They say even if they do get Under back, he'll be going back to the breeder instead of their house in north Troy. Again, a hearing is scheduled for Thursday morning. 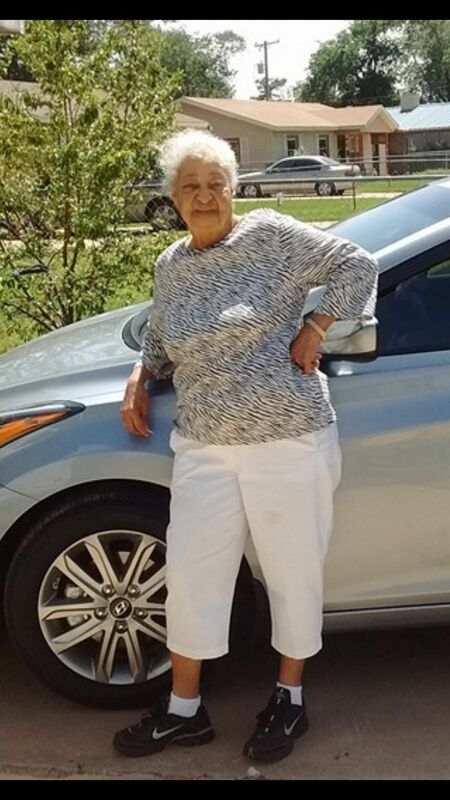 LUBBOCK TX - JOHNNIE MAE GARNER, 88, WAS FATALLY MAULED IN HER BACKYARD BY A NEIGHBOR'S "PACK OF 5 OR 6 PIT BULL MIXES"
(KCBD) - Family members of the woman killed in a dog attack Wednesday night report it was 88-year-old Johnnie Mae Garner. Family members believe the PACK OF FIVE OR SIX DOGS were trying to get to Garner’s female dog in the backyard of her house. It was reported she tried to scare them away and that is when she was attacked. It happened in the 1800 block of E. Colgate around 6:30 p.m. According to the police report, the owner of the dogs was told by a neighbor that his dogs were loose and running around. He went into the alley to find his dogs and heard Garner screaming for help, and saw his five dogs attacking her. He jumped the fence into the yard to help. The dogs started charging him but stopped before getting to him. The dogs ran out of the yard and the man called 911. Police say Garner was taken to Covenant Health where she later died. The owner of the dogs, who has not been identified, flagged down the officers to show them where Garner was. When he returned to his home, his dogs were back in his own yard. Lubbock Animal Services took custody of the dogs. According to the City of Lubbock, no residence within the city shall harbor more than four (4) adult dogs and/or four (4) adult cats, over the age of sixteen (16) weeks. No residence within the city shall harbor more than one (1) litter of puppies and/or one (1) litter of kittens. Any persons desiring to keep more than four (4) adult dogs, four (4) adult cats, or more than one (1) litter of puppies or kittens at premises occupied by them may apply with the director of animal services for a multipet permit. The applicant shall pay an application fee at the time of filing. KCBD NewsChannel 11 will update this story when more information is available. 1) 1-9 - Dianne Reves - 70 - Grenada County MS - A total of 7 dogs were taken into custody - The Sheriff's Department reported she suffered about several hundred dog bites - Facebook posts from the neighbor shows the dogs were GERMAN SHEPHERD/BLUE TICK HOUND MIX. 8) 2-27 - Johnnie Mae Garner - 88? 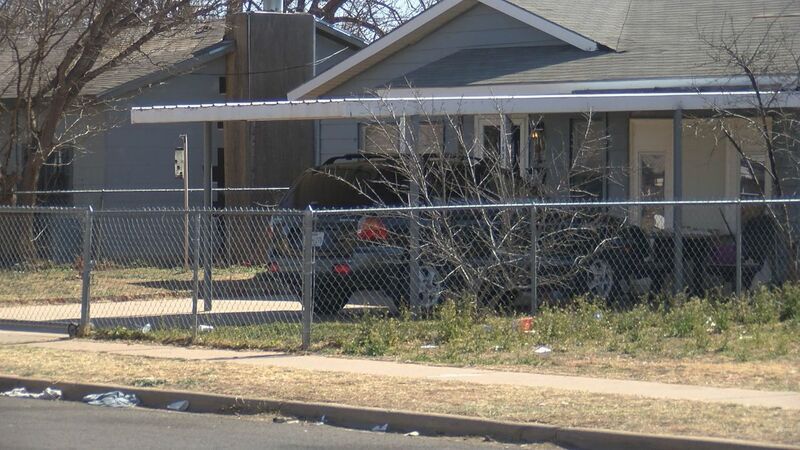 - Lubbock TX - Family members believe that the neighbor's dogs were trying to get to her dog in her backyard and she was trying to scare them away when they mauled her. PALL MALL, Tenn. (WTVF) — Her voice was so low it was almost hard to make out the words she was saying, her face looked tired, her eyes looked heavy. All Nina Brown wanted was to have her sister Jill back. There’s a quiet and stillness that encompassed the room around the two of us. The kind that you only experience when you walk into the home of a person who has recently passed away. Nina Brown, 85, is wearing a lime green vest as she looks across the kitchen table at me and begins to unravel the gut-wrenching details of her sister’s final moments on this earth. It was Tuesday evening. Jill Peterson noticed her gutters were overflowing from a week’s worth of heavy rain. The 88-year-old longtime waitress went out to the back of her home on Evans Lane in Pall Mall, Tennessee to try to clear a drainage ditch. She never saw the PACK OF SIX GERMAN SHEPHERDS coming at her. The next few minutes were a hellish nightmare for the elderly woman who could do nothing to stop their vicious attack. “They dragged her down the yard and all of her clothes were off, her shoes, everything. They tore all of her hair out, the casket can’t be open, it’s like a nightmare. It’s hard to believe,” Nina said, her voiced cracked under the weight of the sadness you can see in her eyes. Paramedics quickly arrived and got Jill Peterson into an ambulance. Her wounds from the brutal attack were so severe that the 88-year-old had to be air lifted by helicopter to Vanderbilt University Medical Center. She died a short time after arriving to the hospital. “Those dogs took my sister’s life, it will be with me the rest of my life,” Nina added. Compounding her pain is the prior incidents that were reported to authorities over the years. The dogs belong to a neighbor who lives behind Jill Peterson. District Attorney Bryant Dunaway says it is possible the dog’s owner could face homicide charges. “This is a very sad situation. Once we gather the fact we’ll determine if there’s criminal liability or not,” Dunaway said in an interview on Thursday. All of the dogs were euthanized after the attack and are being examined by a vet. As for Nina Brown, it’s hard to tell what might erase the pain she’s now being forced to carry. A funeral for Jill Peterson will be held Saturday at 1pm at the Brown Funeral Chapel in Byrdstown, Tennessee. 1) 1-9 - Diane Reeves - 70 - Grenada County MS - A total of 7 dogs were taken into custody - The Sheriff's Department reported she suffered about several hundred dog bites. 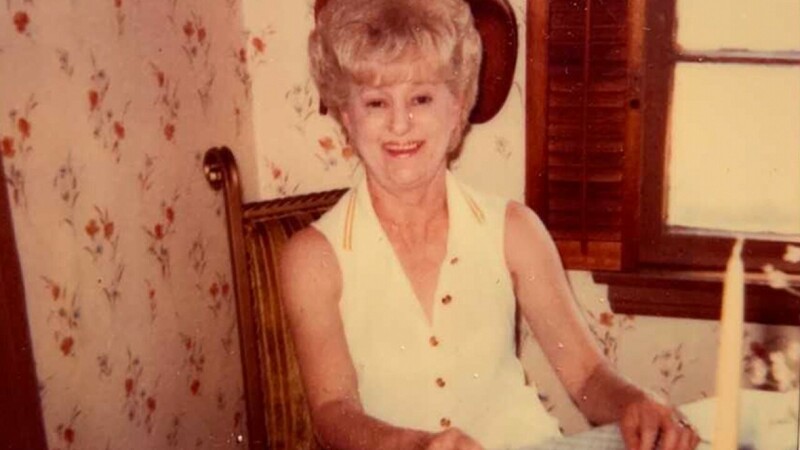 7) 2-26 - Bessie Jill Peterson - 88 - Pall Mall Pickett County TN - She was airlifted to Vanderbilt Medical Center after being mauled around 5pm by a neighbor's dogs - It was first reported that she had been attacked by a pit bull, then later that was changed to a pack of 6 GERMAN SHEPHERDS. BRADENTON, MANATEE COUNTY FL - GRANDMOTHER'S BREEDING PIT RIPPED 75 PERCENT OF HER GRANDSON'S SCALP OFF... "HE RODE THEM, PULLED THEIR TAIL, WENT IN THEIR CAGE, FED THEM ...NEVER IN MILLION YEARS WOULD I HAVE THOUGHT"
SARASOTA (WWSB) - Over the weekend, a child who turned 3 years old today, was mauled by THE FAMILY'S PIT BULL. Kevin Smith Jr.'s (KJ) grandmother said her pit ripped off 75 percent of his scalp and he’ll need several more surgeries to recover. 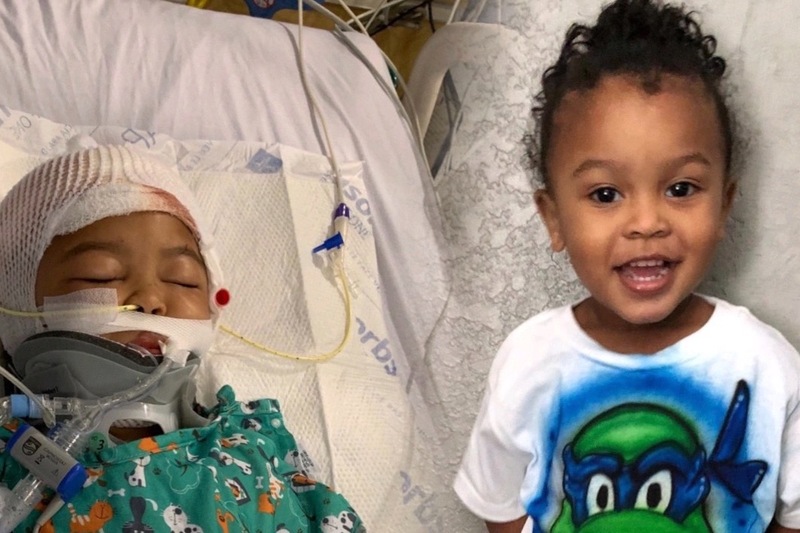 Though he won’t be awake, KJ’s family traveled to All Children’s Hospital in St. Pete to have a Spongebob party for him Monday night, on his 3rd birthday, as he gets a second surgery on his scalp. “He loves the outdoors, he always loves the outdoors and it just hurts, right now, it’s a lot of pain,” said KJ’s grandmother, Lottie Miller. The young boy was at his happiest when he was playing outside with his family’s dogs. His grandma said he particularly loved her two pit bulls. Miller said the dogs were family, and KJ was the epitome of a dog’s best friend. “They never, in a million years, I never would have thought that these dogs, our dogs would have harmed my grandbaby,” Miller cried. But on Saturday, when KJ walked up to his grandma’s 3-year-old male pit bull, the dog attacked. In a fit of aggression his owners said they’ve never seen before, the pit bull ripped off 75 percent of KJ’s scalp. “To bite a known member of the family is very, very unusual,” said Dr. Alan Glassman, a retired veterinarian of 35 years. Though this breed often has a bad reputation, Dr. Glassman said it’s highly uncommon for a pit bull to act in this way. Without knowing the exact situation, Dr. Glassman suspects something was wrong with the dog, like maybe he wasn’t feeling well. It varies, so Dr. Glassman’s best suggestion is to educate yourself on your dog’s habits. Manatee County Animal Control has confirmed that it has possession of both the pit bulls. Only the male is believed to have attacked KJ, but the female pit was outside too. Miller said she’s decided to put both of the dogs down because of this incident. KJ will need several more surgeries, so the family has started a GoFundMe account to help pay for the expenses. To donate, click here. (WDHN) — Geneva County Emergency Management Director Misty Wise — as a private citizen — is warning rural western Geneva County residents to keep a close eye on the young and elderly. Wise said a pack of domestic and wild dogs attacked her vehicle over the weekend while she was driving near her home in the Flat Creek Community. Three of the four tires of her Jeep were flattened, and the dogs bit through the bumpers. Wise said they have a pack mentality and are becoming aggressive toward people. I blew the horn, sat there for a couple more minutes, and they were just circling the car, and then all of a sudden, they started attacking the car and biting," she said. "I could feel the car moving so I put it back in first and went forward, and they were still following me, and yes, I'm absolutely certain that if they were to get a hold of a small child, it would be devastating." One WDHN viewer emailed us and said the dogs have been a problem since the 80s. "I lived in Geneva County in 1985-1990," Kathy Fowler wrote. "While living there, I reported a pack of wild dogs many times near our home. Each time that I called to report them, I was told there nothing they can do due to they do not have a leash law. So sad to know that this is still happening." Authorities say if you see dogs become aggressive toward people, call your nearest law enforcement agency or 911. UPDATE: A memorial service was held Thursday for an Eastern Carolina teacher who was attacked and killed by an animal last week. Brenda Hamilton, an English teacher at Pungo Christian Academy, passed away on Monday from her injuries. She was hospitalized for multiple days after being attacked by an unknown animal while walking down Indian Run Road. Mourners filled the school's gymnasium for Hamilton's service. It was standing room only inside, while the funeral home said close to a thousand vehicles were parked in the area so people could attend. Memorial contributions can be made to Union Grove Church of Christ, 6889 NC Hwy. 99 North, Pantego, NC 27860 or Pungo Christian Academy, 1009 West Main Street, Belhaven, NC 27810. Beaufort County deputies are still investigating what type of animal attacked the 77-year-old woman last Friday as she walked down the road near her home. A 77-year-old North Carolina teacher has died of injuries suffered in a mysterious animal attack Friday, Feb 15, in the small Beaufort County town of Pantego, according to a Monday Facebook post from the school where she worked. Investigators with the Beaufort County Sheriff’s Office confirmed Brenda Hamilton’s death and reported they are still trying to determine what kind of animal was involved in the attack. The department originally said the animal’s DNA didn’t match any wild animals indigenous to the area, but corrected that late Monday. The victim was identified a high school teacher at Pungo Christian Academy in Bellhaven. 4) 2-8- Elaine Richman - Houston TX - She owned two DOBERMAN PINSCHERS that she trained as show dogs - She was found dead in her backyard with bite marks over her face and body. 5) 2-15- Angela Johnson - 54 - Anza Riverside County CA - On Dec 15, 2018, she was hanging out clothes on a line in her yard when a neighbor's 3 pit bulls mauled her - A main artery was bitten into on her neck and she suffered a severe stroke - She remained in a coma and died on Feb 9, 2019. DETROIT MI - A PIT BULL NAMED "BOSS HOGG" GOT OUT THE FRONT DOOR WHEN IT WAS OPENED AND ATTACKED A POSTAL WORKER ...CAUGHT ON VIDEO BY A PASSERBY AS IT BECAME A "WHAT WILL MAKE THE PIT TURN LOOSE MARATHON"
Michigan authorities are investigating a vicious dog attack caught on video Friday, after a PIT BULL latched onto a U.S. postal worker for around six minutes. FOX 2 reports that the incident occured in Detroit, on the city’s west side, after the postal worker began delivering mail off of the 20000 block of Ardmore. Facebook user Oneil Colley captured the incident on video and posted it to social media. As the tan pit bull latched onto to postal worker’s foot, a male neighbor hit the dog on the back in an attempt to get the vicious canine to let go. When his attempt failed, the neighbor ran inside a home and a woman emerged with broom. As the woman started hitting the dog with a broom, the man recording the incident got out of his car and threw a garbage can at the dog, but nothing seemed to deter it. The dog let go briefly but immediately latched onto to the postal worker’s arm. The male neighbor emerged with a metal spatula, while the man recording the video got a wheel lock out of his car. Both men began hitting the dog until it let go. The male neighbor used his belt as a leash to try to get the pup under control. The dog then charged at the female neighbor, who fled to her home. The unnamed 52-year-old postal worker is said to be in stable condition, but had severe injuries to his hand, knee, and foot. The city’s Animal Control captured the dog and gave its owner a ticket. The pit bull's owner, who didn’t want to be identified, claimed she has never had any issues with her beloved pet “Boss Hogg” before, ABC 7 reports. She said she was at work when the incident happened, and the dog ran out of her house when her nephew opened the door to leave. The dog owner’s nephew was identified as the man who eventually pulled the dog away with a belt. The dog owner is waiting to find out what Boss Hog’s fate will be. The dog remains behind bars with Animal Control. 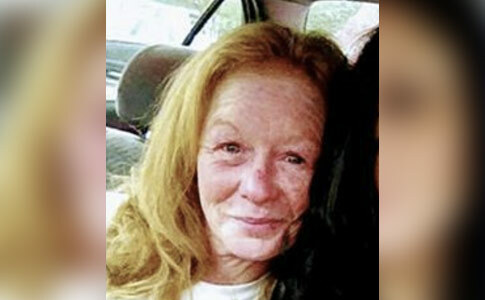 GREENVILLE COUNTY SC - NANCY BURGESS-DISMUKE WAS FATALLY MAULED BY HER 2 BOXER MIXES AS SHE WAS PLAYING WITH THEM IN HER YARD ... "ONE ARM BITTEN OFF AND THE OTHER ARM BARELY HANGING ON"
A 52-year-old South Carolina woman was mauled to death by two of her dogs when they turned on her while she was playing with them in her yard, PEOPLE confirms. Nancy Cherryl Burgess-Dismuke of Greenville was wrestling with her dogs in the front yard of her mobile home at about 1 p.m. Thursday when two of her BOXER MIXES became aggressive and turned on her, Greenville County Sheriff’s Office spokesman Lt. Ryan Flood confirms to PEOPLE in a statement. Hearing her screams, neighbors came running and tried to pry the dogs away from her. Grabbing a blunt ax, neighbor Denzel Whiteside worked to drive the dogs away from her, he told The Greenville News. “I did everything I could,” Whiteside told local Fox affiliate WHNS. His roommate, William Long, also came to her aid, using a drive shaft he found in the yard to beat the dogs away, The Greenville News reports. Thanks to her neighbors’ efforts, she managed to stagger away from the horrific scene and “threw” her body over a fence to get away, The Greenville News reports. 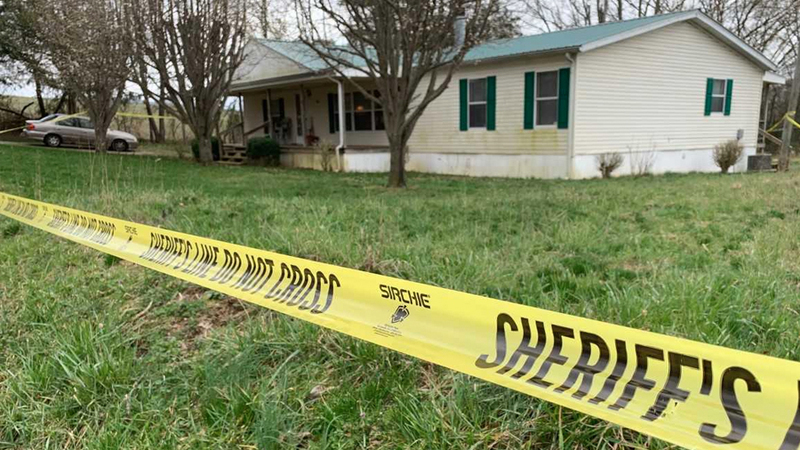 But “extremely severe” dog bites on her upper extremities caused her to lose a large amount of blood, Senior Deputy Coroner Kent Dill said, The Greenville News reports. The coroner’s office did not immediately respond to PEOPLE’s requests for comment. "One arm was already bit completely off," he told the Greenville News. "The other arm was barely hanging on." Sheriff’s deputies who responded to the 911 call tried to stop the bleeding with tourniquets, Flood says. Though she was “alert” and “talking” with paramedics, she went into cardiac arrest at the hospital, Dill told The Washington Post. She died hours later. Greenville County Animal Control confiscated the dogs, which were euthanized Friday, Bob Mihilac, Governmental Affairs Coordinator for the county confirms to PEOPLE. Burgess-Dismuke often put her arms in her dogs’ mouths while playing with them, neighbor Whiteside told The Greenville News. He remembered her as a kind woman who would help anyone with anything they needed. “We’re praying for the family. Hopefully, they’ll get through this and we’ll be there to support them the entire way,” Whiteside said. The Greenville County Sheriff’s Office and coroner’s office are still investigating the case.